Build the strong personal brand that is the key to real estate success. Take a look at the top performing realtors in your area and you’ll quickly notice something they all have in common: each has a distinctive, easily recognizable personal brand. Whether you are a new real estate agent just starting your career or an experienced realtor, establishing your own personal brand will give you several key advantages. A strong personal brand helps clients feel they know something about you, giving you a head start on forming the personal relationships that are the key to long-term real estate success. Building your brand will help you develop clients who have a lifetime loyalty to you, because the focus is on you, not on your agency. And once you have built your personal brand, real estate clients will be able to find you easily, even if you switch locations or move to a different brokerage. Learning how to build your real estate brand is easier than many realtors realize – just follow these 5 easy steps and you’ll be on your way! What are your specific real estate strengths? What are your customers looking for in a realtor? What unique quality do you bring to the real estate experience? Once you have identified your specific real estate brand, you need to devise a slogan that expresses it in a succinct, memorable way. Avoid cheesy or trendy catchphrases – what sounds so “of the moment” now will end up sounding dated and out of step in an amazingly short while. If an appropriate slogan eludes you, don’t hesitate to engage the services of a copywriter – this slogan will be your first introduction to many customers, so you need the perfect phrase to sum up what you have to offer. 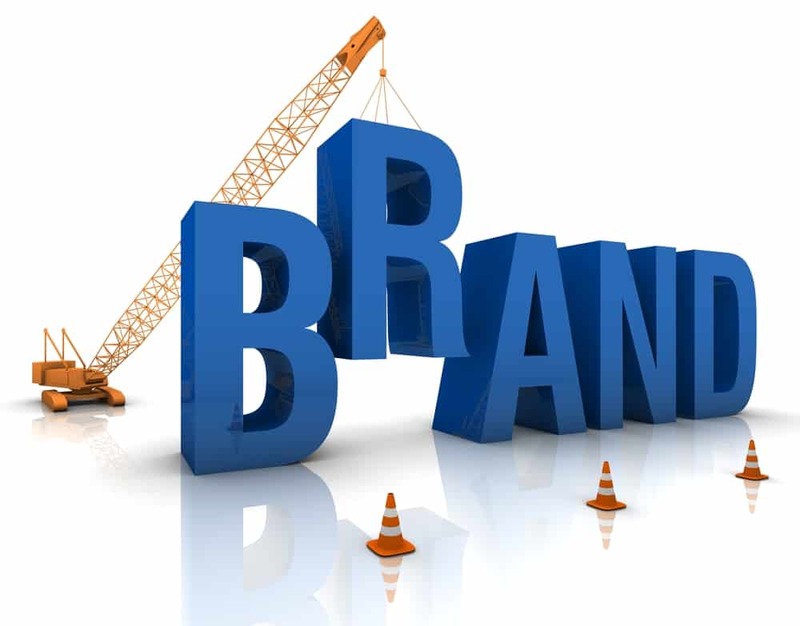 To be effective, your personal real estate brand needs to be easily recognizable. Enlist a marketing agency with talented graphic artists to create a signature look for your realtor brand. For the best results, consider investing in a custom-designed realtor branding package that encompasses the full range of online and offlinrealtor marketing materials. Extend your real estate brand throughout your offline marketing efforts with a personalized logo, business cards, letterhead, and postcards. Create a cohesive online presence by carrying your personal branded look from your website to all your online real estate marketing strategies. Have your designer create a distinctive color theme and logo for your website, then incorporate your signature theme into your Facebook and Twitter pages, dedicated YouTube Channel, and real estate email newsletters. You can even include a custom HTML email signature to make your branding efforts complete. Responsive real estate website – Reach real estate customers at home and on the go with a mobile-friendly website that builds your brand with lead generating web forms, IDX, and more. Social marketing for real estate – One of the key ways realtors can build their brand is through social marketing. Employ the full range of real estate social marketing strategies: answer questions in Google+ Hangouts, participate in discussions on LinkedIn, and engage customers through Facebook and Twitter. The keys to building your real estate brand are consistency and visibility. To firmly establish your brand in the eyes of the public, you should adjust your SEO efforts so your real estate website gains the highest possible search ranking. Incorporate content that includes key words and phrases that relate to your new realtor brand identity. Make sure you consistently include your new branding look and message on all of your marketing materials and communications – everything from yard signs to emails to your business cards should include your signature logo and branding message. If you would like some help building your real estate brand, For Sale Marketing can help. We offer complete realtor branding services that provide everything you need for prime visibility, including graphic design services, responsive real estate website design, email marketing services, and much more. You can count on our design team to create a custom design that perfectly expresses your real estate brand and vision. Click here or contact For Sale Marketing today at 954-779-2801 for complete design services to build a powerful realtor brand to ensure your real estate success!